My Little Pony Arena » Forums » Creativity » Customs » What can I use to seal this paint? Forums » Creativity » Customs » What can I use to seal this paint? What can I use to seal this paint? Posted: 0 Post subject: What can I use to seal this paint? Has anyone else used them before and if so, what works best to seal them with? I wasn't sure if mod podge would be the best choice. If it is though, would the glossy be better? 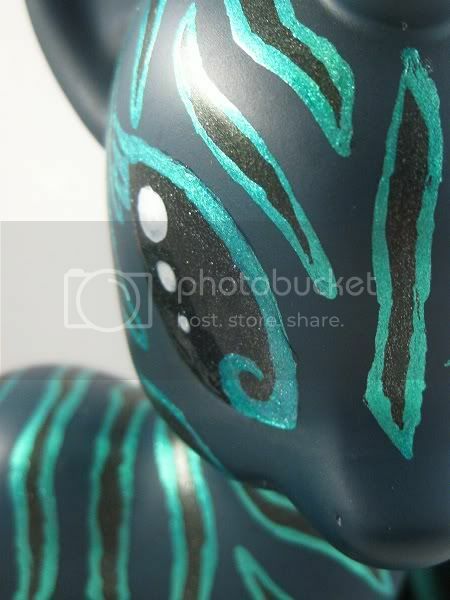 The paint has a really pretty sparkle/shine to it and I don't want to dull it down when I seal it. Thanks! Posted: 0 Post subject: Re: What can I use to seal this paint? No idea on the other one though, but it's a pretty blue! Thank you so much Kioku and minercia!!! @LilSpark- Awesome, thank you very much Also, those colors are -beautiful-. For gold paint, have you looked into more artist grade acrylics? Liquitex Heavy Body has a couple of different "shades" of gold, and GOLDEN fluid has a gold that's the most gold, if that makes sense xD It's not the cheapest, but it's definitely worth the price! GOLDEN's fluid acrylic is, like it says, very fluid, so you don't have to thin it out all that much to get a nice consistency. Liquitex is thicker and needs water, but it's overall cheaper and easier to get different colors. Both brands also have an iridescent white, which you can mix with most any color and get a pearlescent color!